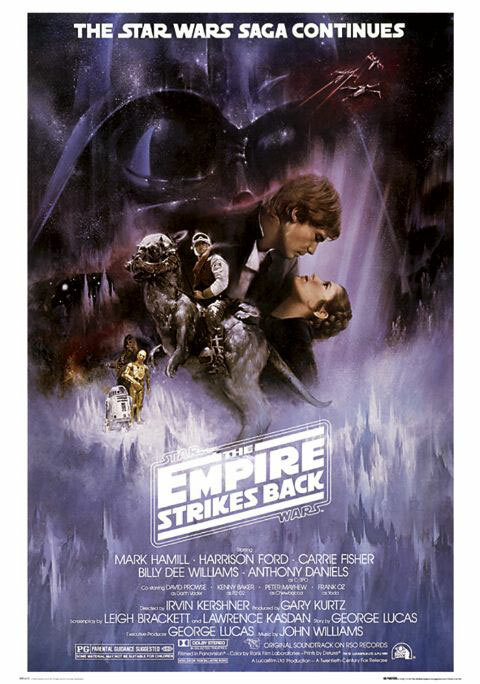 This week is the 30th anniversary of “The Empire Strikes Back,” which seems patently ridiculous and makes me feel old. It also makes me remember one of the favorite events of my childhood — going to see this movie with my parents. One afternoon on some weekend in El Paso, Texas, my parents rounded the three of us up and said that “we are going to do something that your father wants to do. Let’s get in the car.” This, of course, led us to fears of a famous “buggy ride,” where we just drove around and looked at stuff. My two brothers and I protested rather vehemently, particularly since my parents steadfastly refused to give up this “thing” that dad wanted to inflict upon us. Surely, it was going to be horrendous. We stopped at a gas station or a 7/11 or something like that and got some drinks, and started driving. After a time, we went through an intersection and Dad proclaimed from the front seat “Shoot, I just missed my turn.” Dad decided to use the parking lot of a nearby mall to turn around, and said “well, since we’re here, why don’t we just stop here and walk around for a bit.” We thought it was great to have some freedom from the car, even though we’d probably been in there 10 minutes, so this seemed like a fine idea. They made us wait for a painful eternity of probably no more than a few seconds before relenting, and the five of us went to the movie. Two amazing hours of AT-ATs, Wampas, Yoda and lightsaber fights later, my parents somehow herded three stupidly-happy children back into the car and we headed home. After a few blocks, we came to that intersection from earlier in the afternoon. We again drove right through the light. From the driver’s seat of our little station wagon, Dad just peeked back at us over his shoulder and grinned.